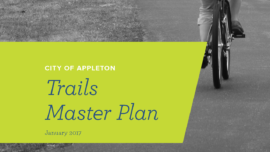 The 2014 Marion Trails Master Plan is focused on improving connectivity between parks, employment and recreational centers, residential areas, and regional trails to promote bicycling and walking for transportation and recreation. 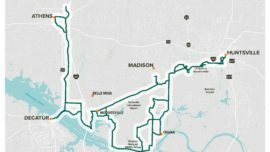 Marion has a strong interconnected sidewalk network, more than a dozen miles of side paths and bike lanes, and nearly ten miles of multi-use trails. These trails are used heavily for recreation and exercise but they do not provide options for transportation-oriented trips, due to their lack of connectivity to the community. 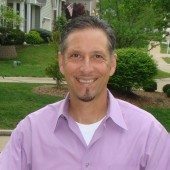 Marion recognized this challenge and looked to Alta to help develop a plan to guide the development of a more fully connected network through future capital investments and development projects. Alta led the development of the 2014 Master Trails Plan that provides a blueprint for trail and on-street bikeway development that responds to current and anticipated challenges and opportunities, and reflects the needs and desires of the community. 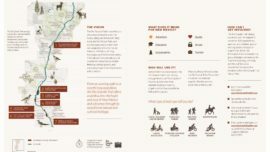 Through a series of recommended physical improvements and supporting policies, programs, and activities, the plan sets forth a comprehensive strategy to strengthen and expand the trail and on-street bikeway network and encourage trail usage, walking, and bicycling for transportation and recreation. 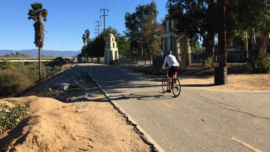 The final plan includes 27 miles of paved trails, 23 miles of unpaved trails, 35 miles of side path, 12 miles of bike lanes, 11 miles of bicycle boulevards, 6 miles of shared lane marking streets, and 19 miles of shoulder bikeways.